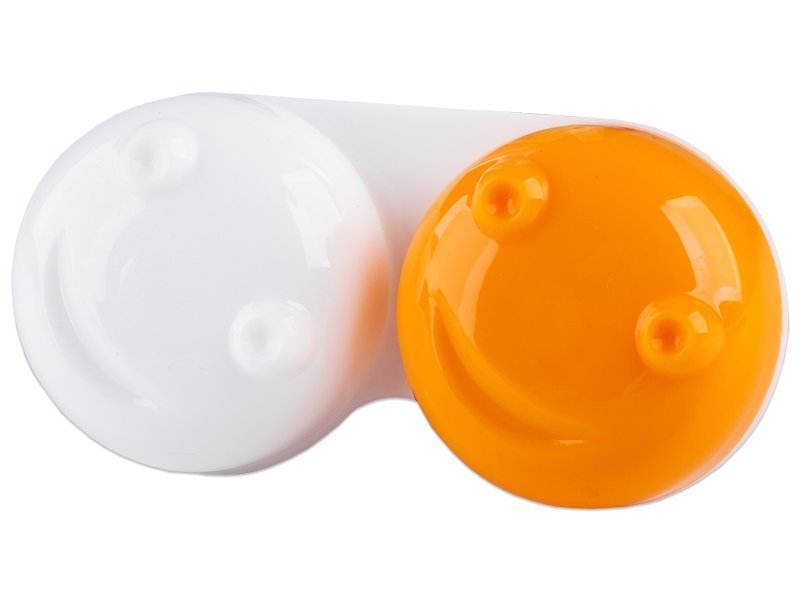 An original round lens case made of plastic with a motive of a 3D smile in a white-orange colour. The colour differentiation of the caps makes it easy to determine where does which lens go every night. Easy and practical design that won´t slip from your fingers. The unique 3D design also available in shiny yellow or pink.